This scrapbook album was created by Grace Robinson Shearin, a 1924 graduate of Eastern Kentucky University. 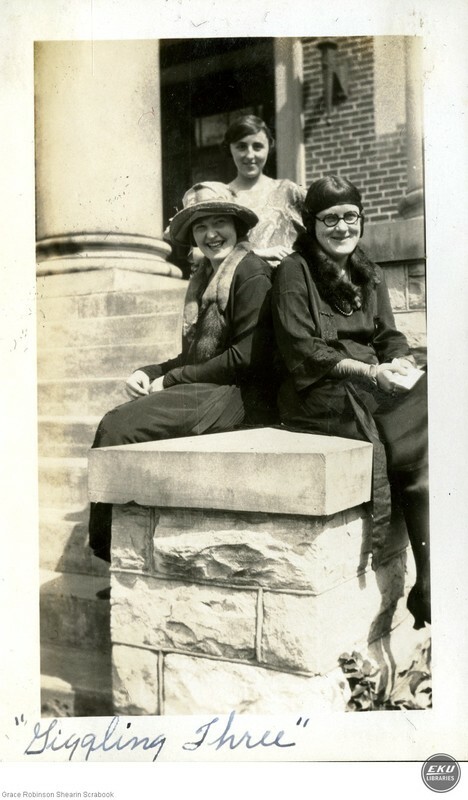 The album contains items, between the years 1920 and 1924, including: memorabilia, newspaper clippings and photos of campus, students, and local places they visited. It is important to note that Grace annotated many items, such as letters and event programs, within the album, and these annotations really give the researcher insight into campus culture and personalities at the time. Several photographs also include brief captions. Caught on the Campus. Aren't we cute?